Using an LCD for a microcontroller such as the Arduino takes up quite a number of pins and actually doesn’t leave that much pins for other tasks. 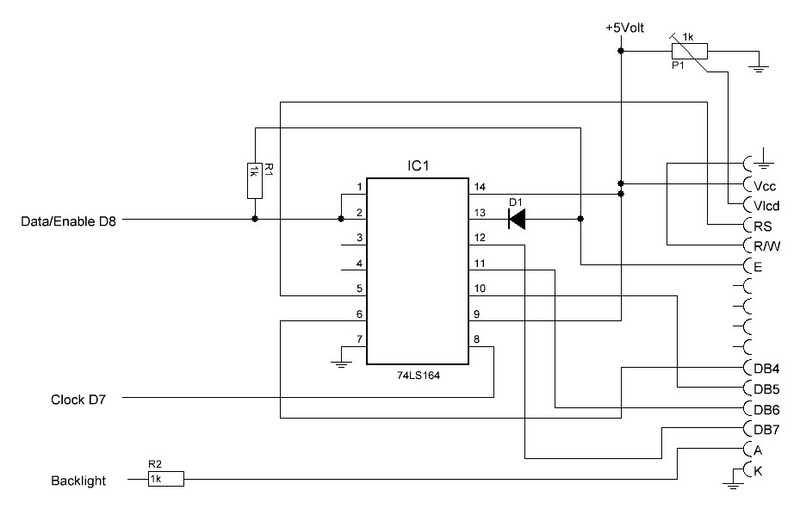 There are various solutions, like using an HC595 shiftregister (requiring three wires), a PCF 8574 or MCP23008 to create an I2C option or using a shift register such as the 74LS164. The added circuit does just that. 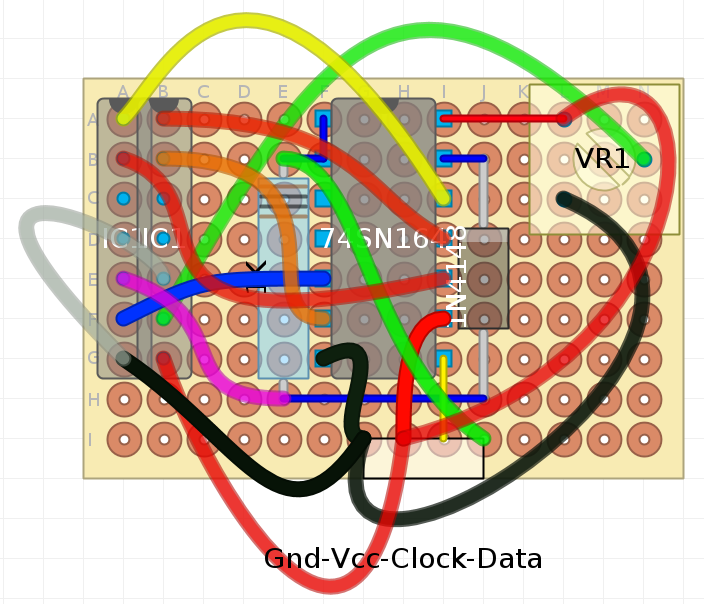 It works on an Attiny85 as well. 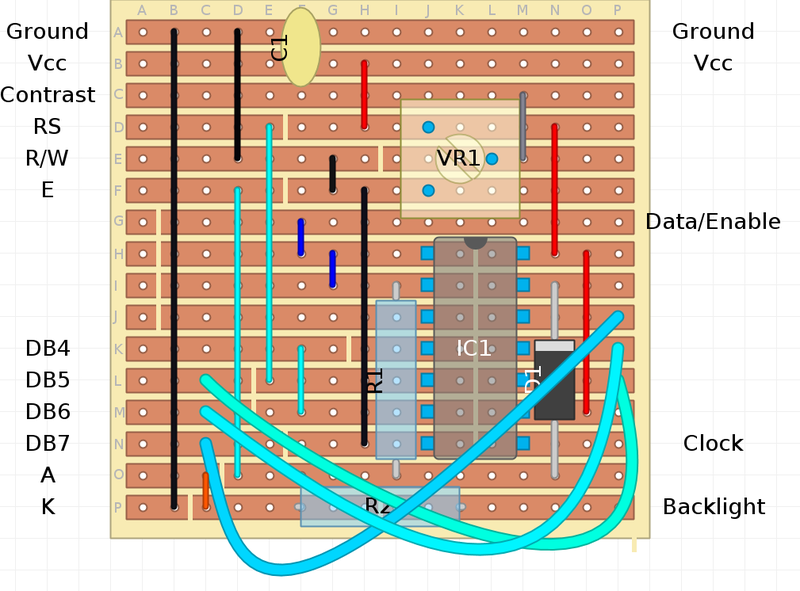 A 100nf decoupling capacitor is necessary and should be placed near the IC. Shiftregisters as the 74LS164 cause sudden changes to the current drawn from it’s power, and hence introduce noise. To counter this, a “decoupling capacitor” should be used as close to the shiftregister power pins as possible (Vcc and GND). Otherwise, the shiftregister may get faulty data and then the LCD won’t work as intended. This is also dependent on other factors, like wire lengths etc. 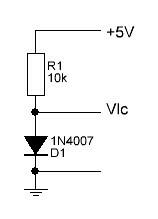 The resistor and the diode form an AND gate. 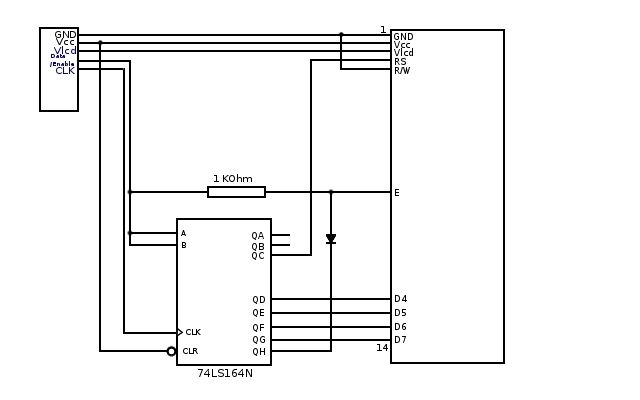 They could be replaced by a proper AND gate, but that would increase the component count. 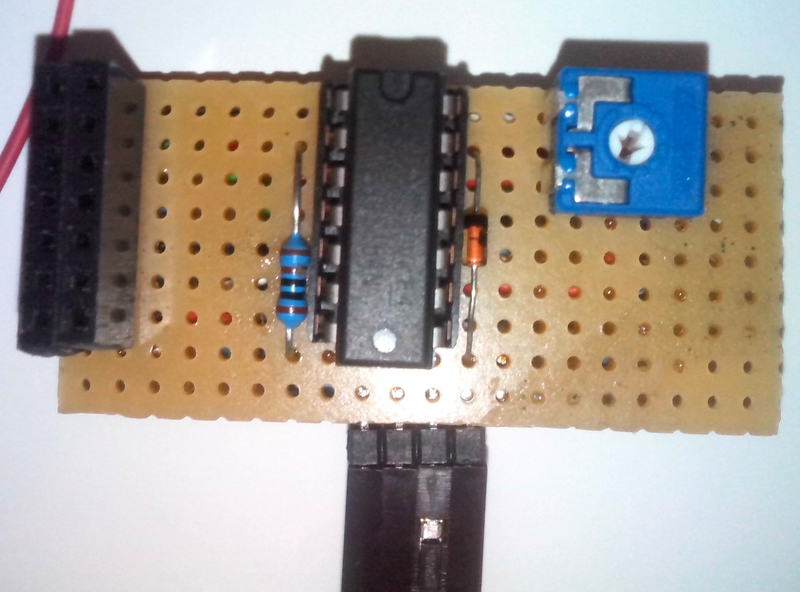 The circuit can be easily built on a piece of 16×16 stripboard, even a 11×12 piece if you connect the LCD with wires rather than a connector. As pin 4 of the 164 is used for the LCD backlight, but the Seiko doesn’t have a backlight, I decided later to add an LED, connected through a 1 k resistor to pin 4 and be able to switch the LED on and off with the backlight command. looks like you do not have the library installed, or u are calling the wrong one. 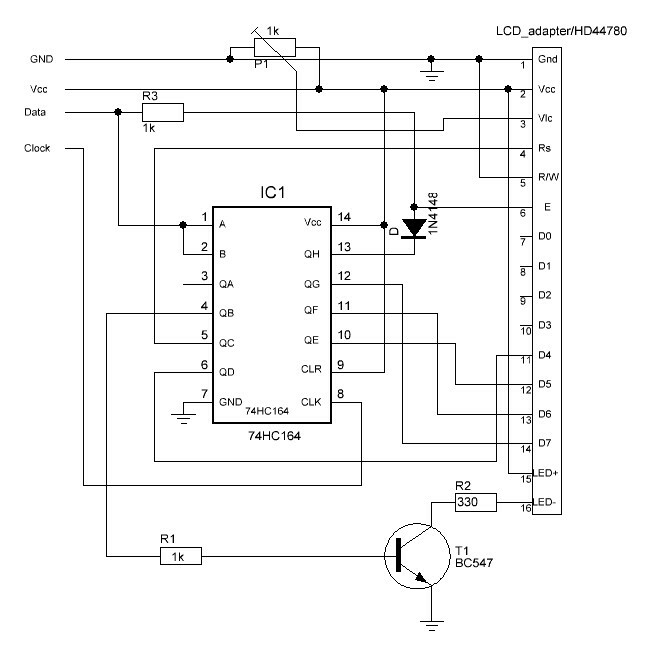 seems u are calling the i2c library while u shld be calling the SR library. it didn’t say WHERE is the problem,just say can not compile. Jerry, do i understand correct you get no other error message than ‘cannot compile’? That is odd. Do you have the proper library installed? Was your PC perhaps filled to max memory capacity? 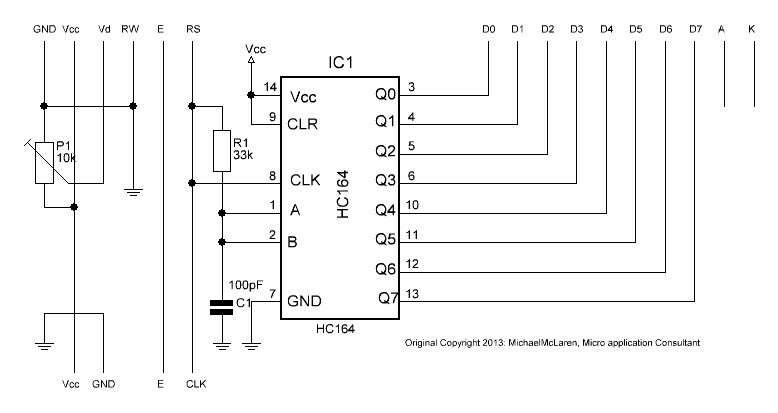 The given link is for “I2C”. I cannot find the “LiquidCrystal_SR” library. So, the code doesn’t work for me. I really need to make it work for a project. Can anyone help me please? Azfarul, I am not sure which link you tried, but if you mean the one for the Malpertida library, what makes you think that is for I2C? the link brings you to a download page with several versions, pick the latest one (NewLiquidCrystal_1.3.4.zip). download and install it. If you open it, you will see it has the LiquidCrystal_SR library. 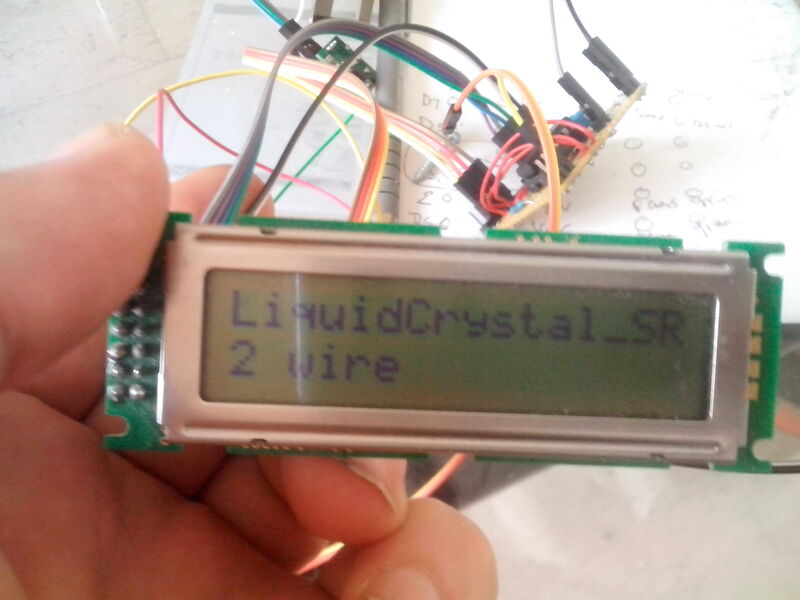 What I changed in your code is that I use “LiquidCrystal_SR lcd(0,1,TWO_WIRE);”, so pin 5 and 6. 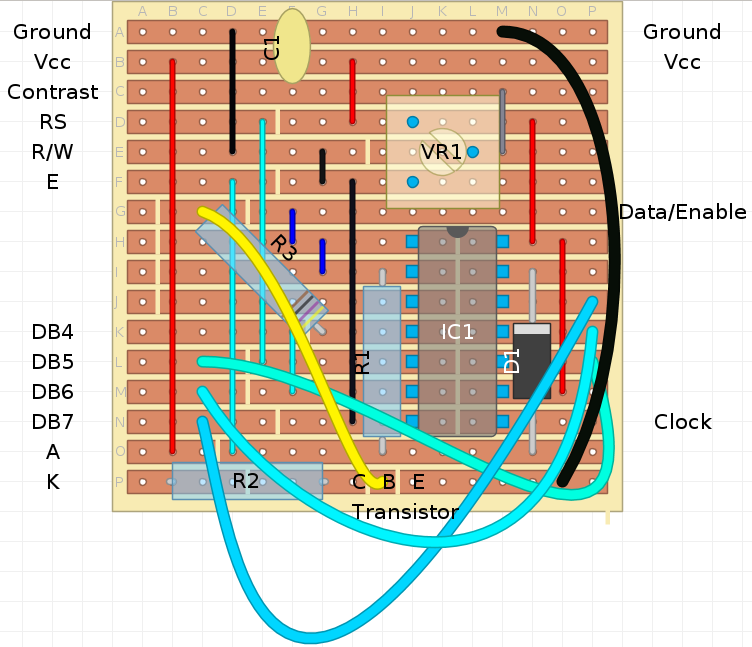 I also left out the transistor part, the LCD is directly connected to the supply, contrast is also on 5V. Do you have any ideas, why is this? yes that is easy to explain. 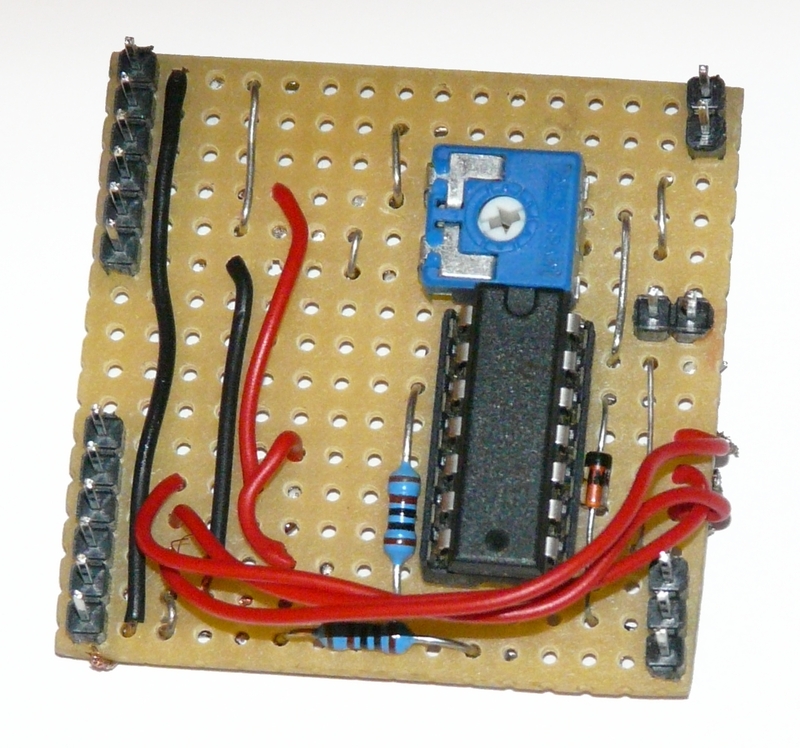 in my program i used pin 7 and 8 as present on the arduino, but the attiny doesnt have a pin 7 and 8. 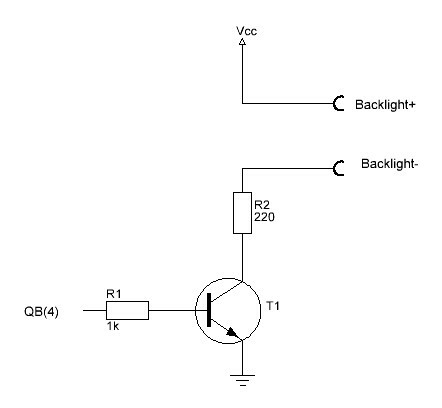 So yr change does the right thing: chosing two pins that the attiny45 does have. Hi. Is do not work. What is code\command should turn on the backlight?